While I am more of a leather fan when it comes to cases, there are others who prefer the feel of a good book. Pad and Quill is a master of such materials, as I had occasion to discover this past Summer when I reviewed their Journal Notebooks. The linen-covered books were well-made and felt just like a fine hardback in the hand. 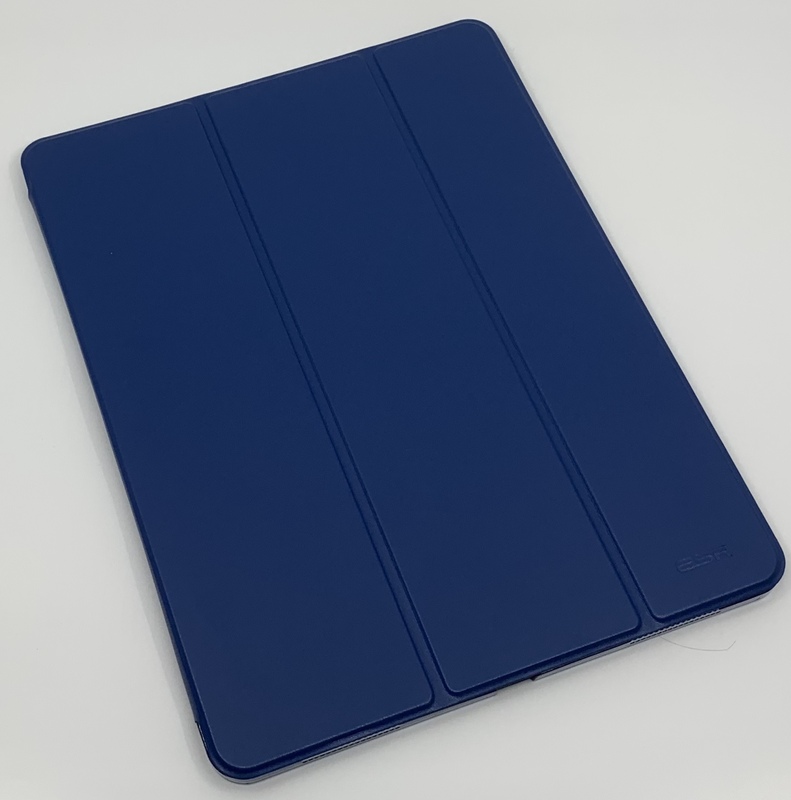 When I hold the Contega case for the new 11′ iPad Pro, I get that same impression. 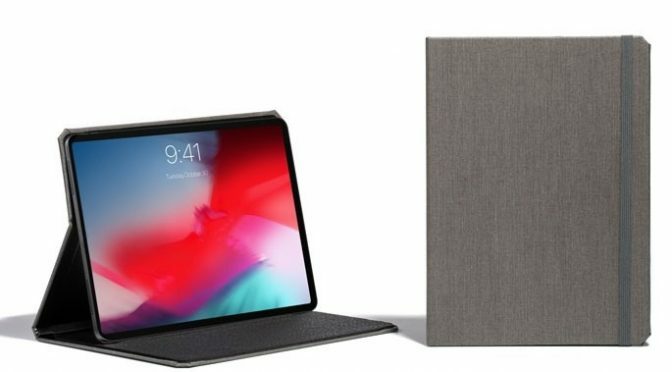 While the cover has a rougher, more durable texture, it still feels like your iPad Pro is contained within a fine book. I won’t lie. I’m a sucker for a nice leather case. Whether its for an iPhone or an iPad, I am always interested in wrapping my high-tech electronics in a little bit of old world craftsmanship. There’s just something about the look and feel of fine leather that gets me. 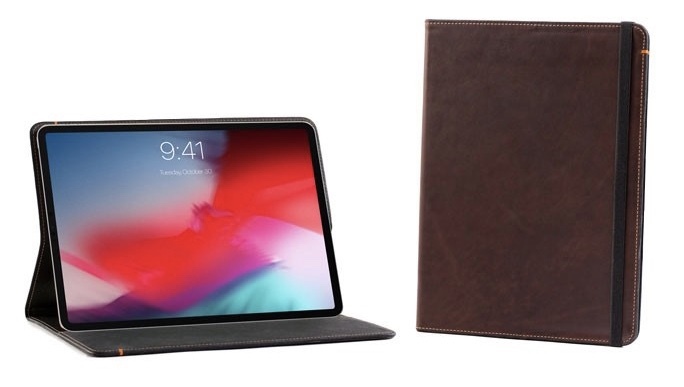 While I have reviewed several quality leather cases for various iPhones here at iPad Insight, I have never covered one for an iPad or iPad Pro until now. Well, this one has been worth waiting for, as the Pad and Quill Oxford Leather Case for the 2018 iPad Pros is as functional as it is beautiful. I’ve been taking the 12.9″ version for a spin over the last two weeks and here is what I have found. 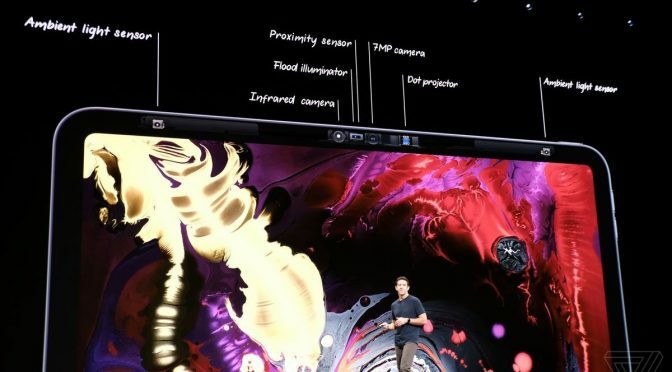 There was a lot of speculation about how accurate and how reliable Face ID would be before the iPhone X was released last year. 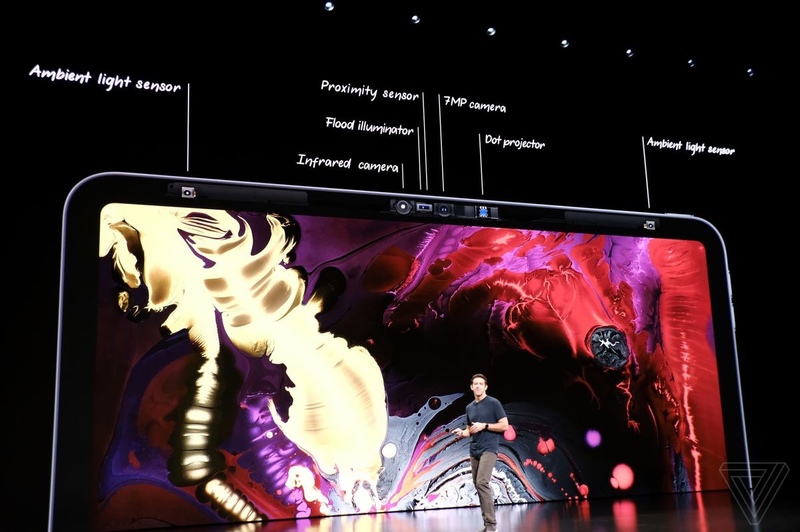 Those questions were answered quickly, as Apple’s TrueDepth cameras, Secure Enclave, and software combined to make a facial recognition easy to set up and even easier to use with a smartphone. 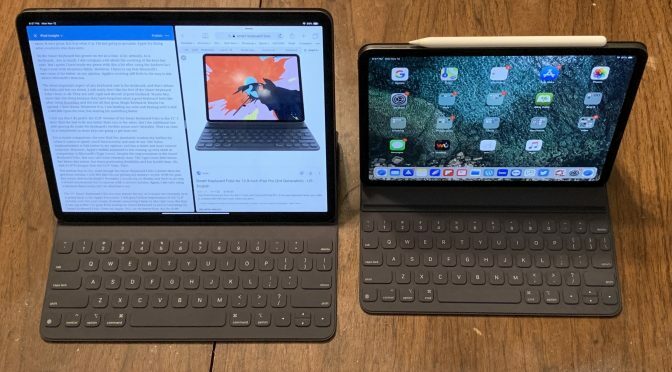 After a year of success, there was little doubt that Face ID would work when it came to the iPad Pro. The question was if it could provide the additional flexibility needed to work well on a platform that isn’t centered around a single task or orientation. 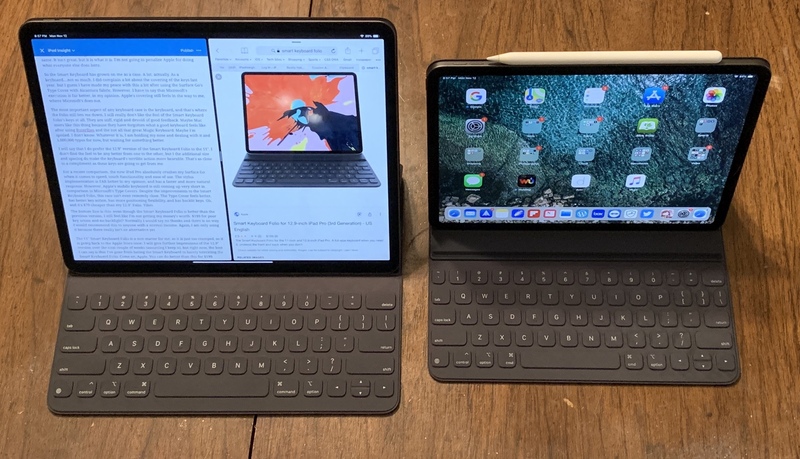 Back in March of 2017, I vented about how much I disliked Apple’s various keyboards, especially the iPad Pro Smart Keyboard. To be honest, dislike didn’t really go far enough. 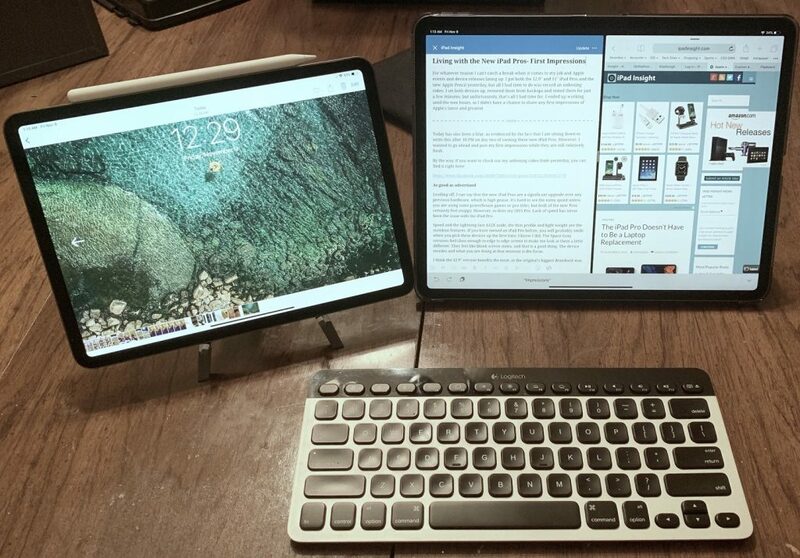 I had very briefly tried the Smart Keyboard before that and then tried it against thinking that I might have a different opinion the second time around. Going back and being disappointed again frankly just pissed me off and I went from dislike to hatred and disgust. Yeah, I know. 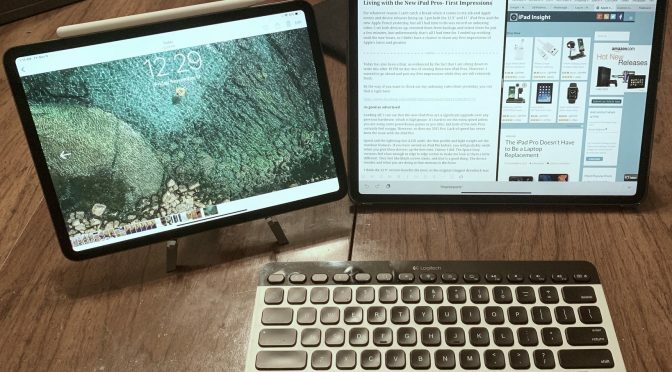 It’s just a keyboard….that still cost $139 on Open Box sale. 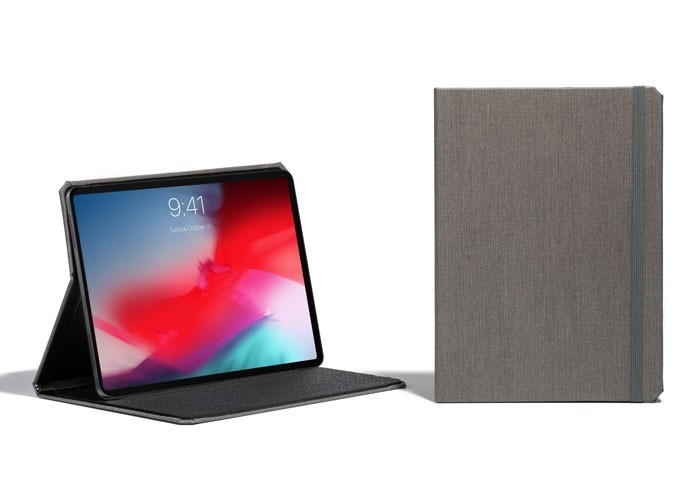 Where Are All the New iPad Pro Cases? One advantage that you have owning Apple products is access to a robust and thriving ecosystem of accessories. This is especially true for mobile devices, such as the iPhone, iPad, and Apple Watch. As soon as a new device releases, everyone from the major brands, to boutique and custom makers, to no-name sellers on Amazon and eBay are either announcing new cases or already have them available.